Model PO212U. Ducted port 212 cabinet. 29"w x 17-1/2"t x 12"deep. $194.94 + $40.00 shipping. 3 weeks lead time. Model PO112U. Ducted port 112 cabinet. 20"w x 17-1/2"t x 12"deep. $174.94 + $35.00 shipping. 3 weeks lead time. Closed back front ducted port cabinets. 1" wide port duct on the bottom.Rear loading baffles. HUGE TONE! Again, these have 1/2 birch ply baffles that are test load rated for 70 lb.s per speaker cutout. Most speakers are only 10 - 20 lbs. 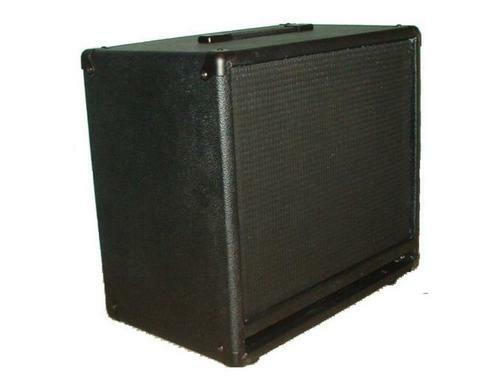 The 212 ducted port cabs now come with a front to back center brace to tighten up the lowend. This brace is removable of you desire a looser classic lowend. No grill frame is needed.. The baffles are held in by screws from inside and then the baffle can be remove out the front. At this time a cloth can be stapled to the baffle edges then reinstalled. Next you would install the speaker through the back (rear loading) then reinstall the rear panel. 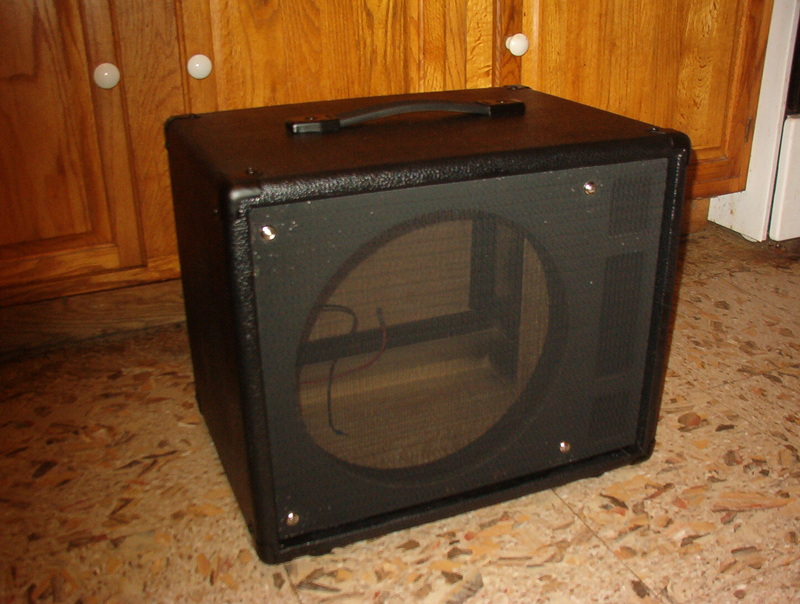 See my "cab construction" page for details..
Ducted port cabs for guitar. HUGE TONE! Model PO212TO. Tung oiled ducted port 212 cabinet. Oxblood w/stripe grill cloth, brown dogbone handle, rubber feet. 29"w x 17-1/2"h x 12" deep. Allow to 4 - 6 weeks build time. Model PO212TX. Tolexed ducted port 212 cabinet. 29"w x 17-1/2" h x 12" deep. Black tolex, black grill cloth, black corners, strap handle, rubber feet and prewired with 1/4" switchcraft jack and 14 guage wire. Custom colors available. Some upcharges may apply. Allow 4 - 6 weeks build time. Model PO112TO. Tung oiled ducted port 112 cabinet. Oxblood w/stripe grill cloth, brown dogbone handle, rubber feet. 20"w x 17-1/2"h x 12" deep. Allow 4 - 6 weeks build time. Model PO112TX. Tolexed ducted port 112 cabinet. 20"w x 17-1/2" h x 12" deep. Black tolex, black grill cloth, black corners, strap handle, rubber feet and prewired with 1/4" switchcraft jack and 14 guage wire. Allow 4 - 6 weeks. Custom colors available. Some upcharges may apply. 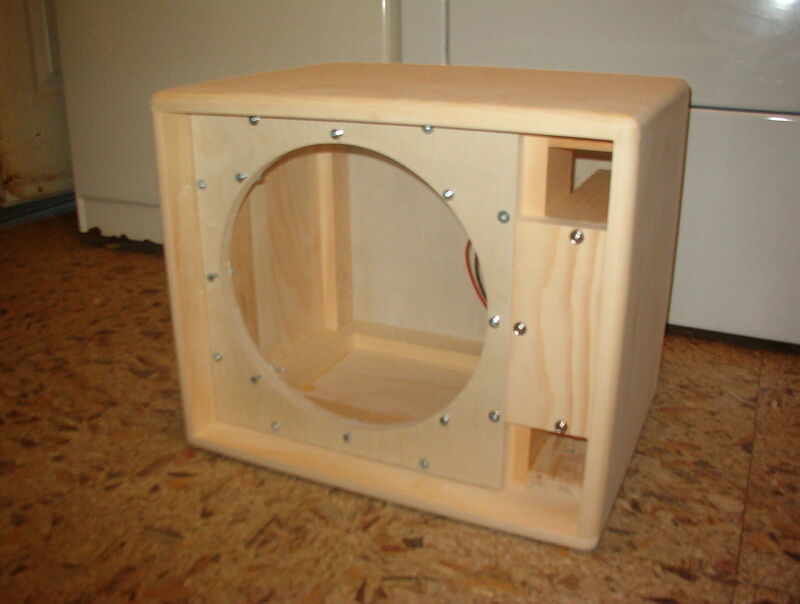 This is an unfinished Thiele TS806 112 guitar speaker cab project made from a lighter weight 3/4" pine. Corners are dovetailed. It is built to the original specs in the EVM blueprints with 1.3 cu. ft. inside dimensions (not the Mesa Boogie altered dimensions). Baffle and rear panel are from 3/4" birch plywood. T-nuts are installed and is prewired with a single 1/4" Switchcraft jack. Comes with a grill frame for installing grill cloth front. Measures 17-3/4"wide x 14-1/2" tall x 13-1/2" deep. I can also build a wide version with an extended false wall up to around 25" wide. Contact me for details. Black tolex (custom colors available), black corners, black grill cloth, black strap handle, wired up with 14 guage wire and a single 1/4" switchcraft jack. 17-3/4"wide x 14-1/2" tall x 13-1/2" deep (Note this is not the altered Mesa dimensions but, the actual dimensions from the EVM blueprints). NOTE: 4 - 5 weeks build time. Oxblood grill cloth, black strap handle, wired up with 14 guage wire and a single 1/4" switchcraft jack. 17-3/4" wide x 14-1/2" tall x 13-1/2" deep (Note this is not the altered Mesa dimensions but, the actual dimensions from the EVM blueprints). NOTE: 4- 5 weeks build time. 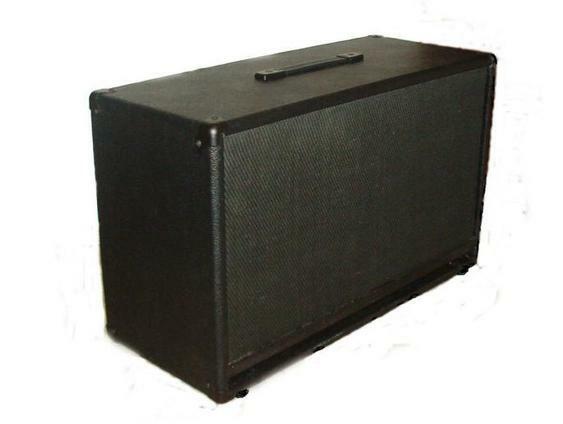 Ducted front port cabs designed for use with any guitar speaker.